Cats and dogs – friends or foes? Well…it all depends on their personality and the way they were introduced to one another. Often, the case is that the dog is too playful and the cat is too fearful. If you’ve had a cat and a dog for a little while and they’re not best pals, the tips below will hopefully help them form a friendship, if not just to tolerate one another! If you’re thinking about getting both a kitten and a puppy, then these tips are perfect for you! Scent meeting – Animals get to know one another through scent, hence why dogs always sniff each other’s butts! Before they meet for the first time, it’s a good idea to familiarise your pets with each other’s scent. Gently rub a cloth or sock over the dog and place near the cat’s bed. Do the reverse for the dog. 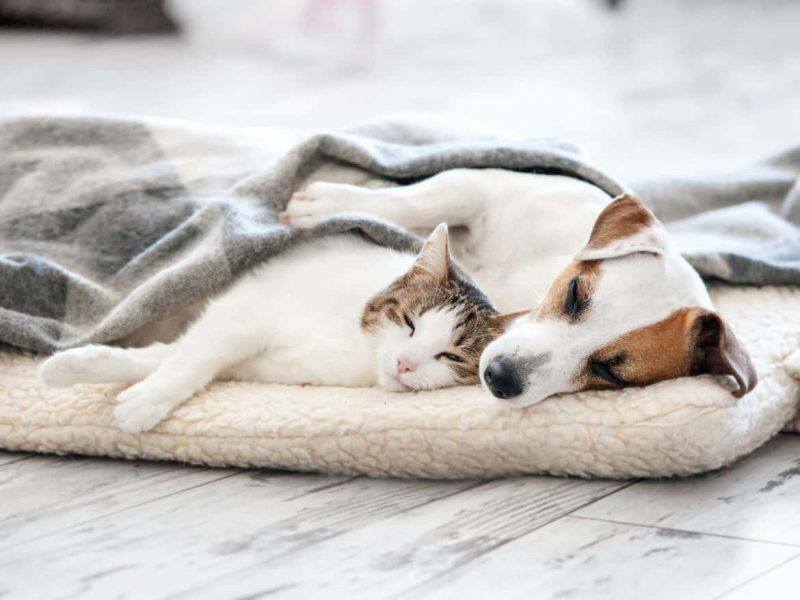 By offering both pets access to each other’s scents, their initial meeting will be less stressful as each pet will know that the other is not a total stranger. Off limit areas – Make sure cats in particular have a separate room as their safe haven that is off-limits to the dog. Your cat should feel safe and secure in this room knowing it can escape the dog when it gets uncomfortable. Only let the cat out when it is calm and inquisitive. You may want to begin introductions with the dog on a leash as this gives the cat freedom to explore and wander without fear. Complementing personalities – If you’re thinking of adopting a cat or dog, with another already at home, adoption centres will work with you to find a suitable friend for the one at home based on personality. It’s important to note that some dog breeds, such as hounds, terriers and herding dogs should not live with a cat as their instincts are to chase. Supervised interactions – Puppies and kittens will get along better than older pets as they’re both young and playful. With that being said, it’s important to supervise their interactions because a puppy’s play may still be a bit rough for a kitten. Be sure to train your puppy to chase a toy rather than his small feline friend – that way it will grow up respecting, not chasing smaller animals. We hope you find these tips helpful on your quest to befriend your furry pals. All the best! Thinking about getting a cat? Owning one for the first time? Whatever your situation may be, you’re in for a treat! Cats are everything you would expect them to be: cute, furry and cuddly! 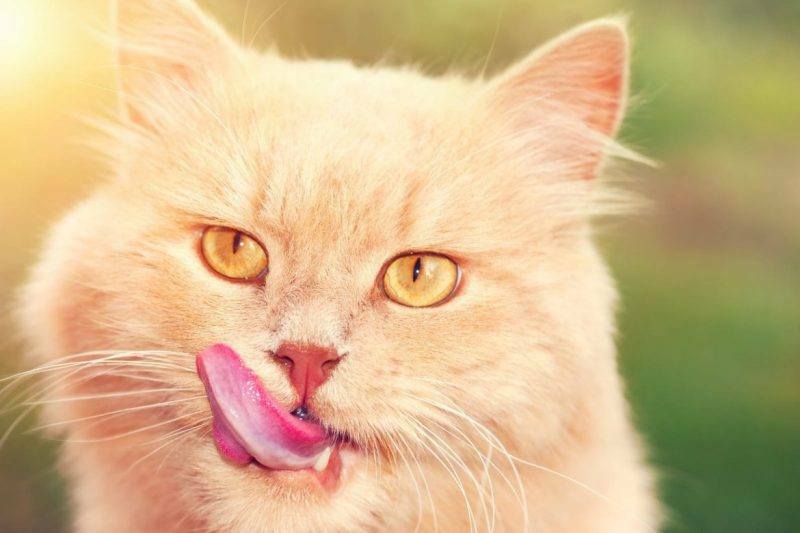 However, if you’re new to the world of cats, then there are a few things about living with them that will surprise you. Don’t freak out. At the end of the day, you’ll never know how you lived without them! While they may be the apple of your eye, cats feel otherwise. As far as your kitty’s concerned, everything revolves around them. They are the sun, the stars and the moon. Unlike dogs, who will do anything to please you, cats see themselves as your master. Don’t feel bad for worshiping them, however. As a matter of fact, they get a kick out of it. But don’t be afraid to be firm with them from time to time. After all, it is you who is the true master of the house! Because they think they are the rulers of the world, cats will believe that everything in the house belongs to them, including you! Clothing, furniture, food (yes, your food) and more, cats will have no problem doing whatever they please with your stuff. They may sleep on your bed, hide in your wardrobe and steal your food off the counter. You might as well say goodbye to your favourite glass bowl if your kitty decides it’s their new toy. This is why you need to make sure your valuables are well protected from your cat’s little paws. One of the big differences between cats and dogs is how they interact with their owners. 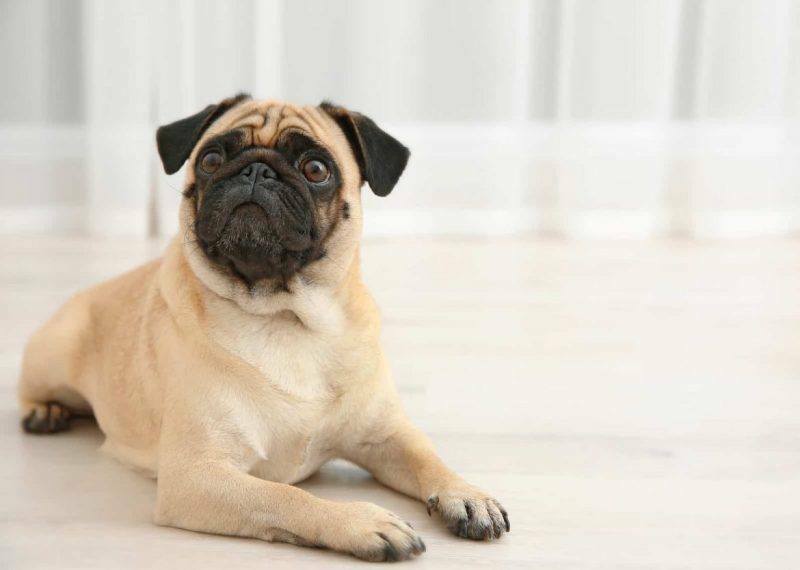 Dogs can easily be trained to respond to commands from their owners. Cats, on the other hand, run by their own rules. As it goes, cats come to you when they feel like it, not when they’re told. While their independence should be applauded, it’s also something that needs to be controlled. Simply asking them to do something isn’t enough. You may have to take a little bit of action if you want your cat to do what you tell them. Something that will both surprise and scare you is how unpredictable cats can be. You two may be sitting on the couch one day and your cat may suddenly freak out and do a somersault off the cushion. Or you may come home from work one night and find your cat has staked its territory on your bed and will not move, no matter how many times they scratch you. But there’s nothing to be truly afraid of. Some things your kitty does may be your fondest memories of them. It could even be a YouTube sensation if you happen to record it! May I Offer This Complimentary Massage? A quirk you will quickly love is your cat’s habit of kneading everything. While not all of them do it, many cats, young and old, tend to knead their paws on surfaces. From the carpet to your tummy, there are many theories as to why cats love to knead things. It may be to make a comfy spot for them to lie on, to mark their territory, or simply because they’re in a happy mood! If you’re lucky enough to receive one of their professional massages, don’t be nervous! Their claws shouldn’t hurt you. Just sit back and relax while your kitty purrs their kneading song! No matter what quirks your cat may have and how strict you may be with them, you two will soon love each other with all your hearts! Like all best friends, you two may have things that you dislike about the other. You may quarrel and fight with each other when you’re both not getting your way. But there will also be times when you will rely on the other for comfort, laughs and a warm cuddle. The good days will certainly outweigh the bad, and you will treasure those days forever! Living with a cat will be a rollercoaster ride that you will not want to get off of. So hold on tight, because you’re going to have the best ride of your life! What are some things you’ve learnt from living with a cat? Comment below and let us know! Have you thought about getting a pet but think a dog or cat might not be right for you? Or maybe you want a non-traditional pet that can bring you a world of joy. We’ve got the best pet for you! 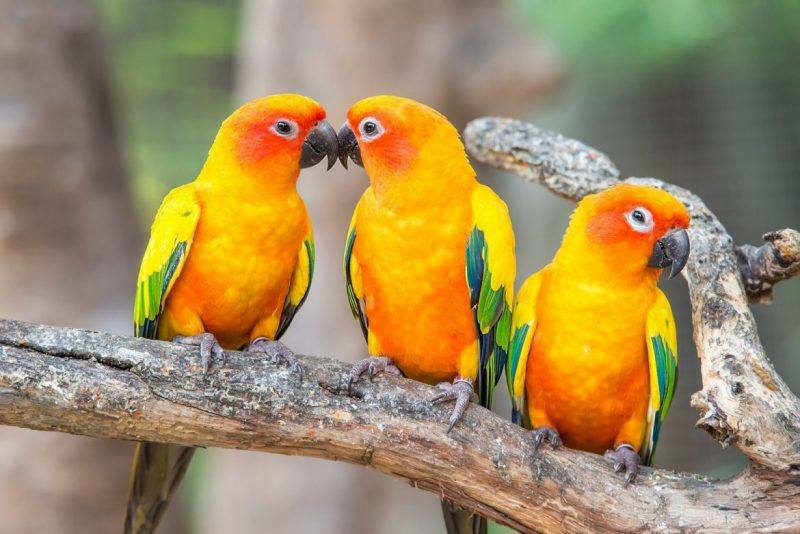 Read on below for 5 reasons why birds make great pets. Birds are a good option for those who want to enrich their lives with a pet but are either slightly time poor or don’t want the high-maintenance cats and dogs bring with the need for a lot of attention, exercise, and training. Birds on the other hand, require far less training, unless you want to teach them cool tricks! They are much easier to clean up after as they are self-grooming creatures and their mess tends to be isolated to their cage. Birds are very smart and curious creatures. They have the capability to learn many new things, such as learning to mimic human speech and behaviours or using objects as tools. This makes them very intriguing and fun pets to watch and play with, especially with their human like antics! If you live in a small house or an apartment a bird is the perfect pet for these spaces. Whereas cats and dogs require a lot of room to run around, birds are quite happy with only a few metres of space for their cage. Birds are considered to be very social creatures as can be heard with their constant chirping and chattering. This makes them fun to interact and talk with, especially if you have trained your bird to speak or it has started mimicking human voices. Either way they are the perfect companion to talk to and get your thoughts off your chest without fear of judgment. Did you know that some species of birds can live up to 50 years? That truly makes some birds life long companions. However, although some birds can live up to 50 years many have a lifespan of up to 20 years, which is still quite a long time. So whatever breed you choose be prepared for a long and happy life together. Don’t let us do all the talking! If you have a bird tell us how they have brightened up your life in the comments below. Moving houses can be an exciting and stressful time for us humans with the excitement of starting a new chapter in our lives, but also the stress of packing, unpacking and everything that goes with it! However, during moving day humans aren’t the only ones feeling stressed, our pets can also become very anxious during this time. 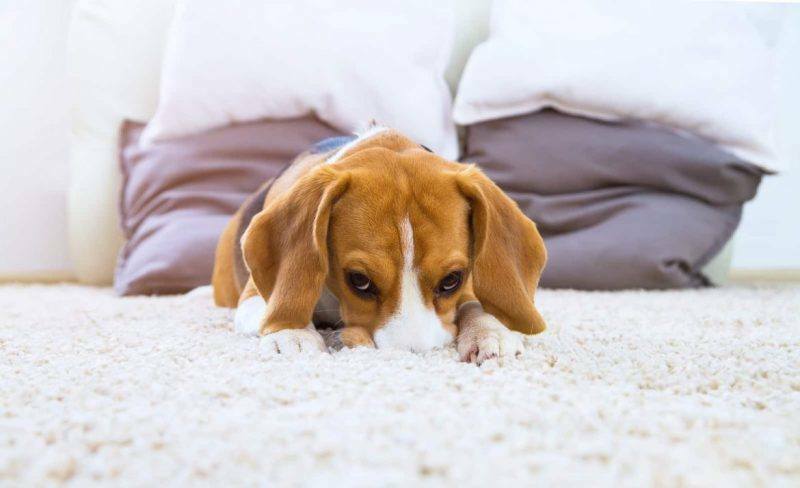 Make moving a little less stressful for you and your furry friend with our top tips below! During the whole moving process, it’s important to keep your pet’s routine as normal as possible. This includes before and after the move. Continue to feed your animal at the same time you normally would and to make sure you take your dog for a walk every day. The more they stick to their usual routine, the easier the adjustment period will be! When animals become anxious and stressed their instinct can tell them to flea or escape an uncomfortable or threatening situation. As they are unfamiliar with their new home and its surroundings some pets may try to escape, and even try to find their way back to their old home. This means it’s vital to check the house, yard and fencing to ensure that it is secure and that there are no areas your pet can squeeze through in order to escape. For people with cats, it’s best to keep them inside for a couple of days until they feel safe and secure in their new home. Once you have moved into your new place make sure you get your furry friend accustomed to your house and its surroundings. Let your pet to explore the area, including the yard and any surrounding areas under your supervision. For dog owners, it might be a good idea to take your dog for regular walks during the moving process to get them use to the sights, sounds, and smells of the new area, this is especially helpful in the event they do escape they have a better chance of finding their way back home again. Do you have any great tips for moving homes with your pet? Let us know in the comments below! Having a cat to shower with affection is ‘the dream’ for most of us cat lovers (calling all #crazycatladies!) They become a part of your family and a lot of the time they think they are one of us. However, as cat owners we know that life with a cat isn’t always smooth sailing. Some cats can be a little on the moody side, and love to get their own way! Invest in rubber gloves! This is the best way to get rid of cat hair and as you would know it gets EVERYWHERE. Haven’t we all been avoiding wearing black for this reason?! Rubber gloves can be used to strip hair from your clothes and furniture and they are super cost effective, which is a win win for everyone! Change the bowl to a plate. This is for all the picky eaters out there! We’ve all had a cat that just won’t eat their food! Here at the Daily Fluff, we’ve found that some cats just don’t like their bowl especially if it is limiting their whisker space! So why not try a flat dish and you may be pleasantly surprised. Keep their paws away from the cords. Does your cat love to chew on power cords too? It’s not only dangerous but it is also damaging. Get some rubber tubing to protect exposed cords and in turn protect your cat. You don’t need the 4 tiered cat post. While it’s no secret that cats do like these because they like to climb and be elevated, you don’t need to spend a lot of money to make them happy. Get creative at home and make your own cat post. A bookshelf or stacked boxes will surely do the trick! Use a bath mat. Stop the unwanted litter spreading throughout the house by keeping your cat’s litterbox in one designated area in your home. Another great tip is to have a bath mat next to their litter box to stop the mess from spreading! Build a cubby house. Cats love to play and for them, that usually means climbing or hiding. Create little hiding nooks for them throughout the house so they can have all the fun they could ever need! These could be made with some shirts or towels. You’ll be surprised how quickly it will become their new nap spot. We hope this helps you overcome some of the stresses of being a cat owner! Which hacks are you going to try? Comment below and let us know. Dogs make our lives happier with their wagging tails, dangling tongue and excited barking. However, while their cute and cuddly presence brightens up everybody’s day, puppies can also be a bit of a handful. If you’re getting a bit overwhelmed, we have some tips on how you can live your life with your pooch with no worries at all! If you have a new pooch in your home, you may be worried about how they may adjust to their new living quarters. They’ll need to be taught straight away that the whole world, in fact, ISN’T their garden, and therefore cannot be used as toilets. If you’ve never house trained before, the general idea is to take your pup outside for toilet breaks every 30 minutes. The purpose of this is to get into your pet’s head that the outside is their toilet, not inside. Your new pup will also need to be watched constantly so that there is little risk of an accident. Get everyone in the house on board and have a shift schedule for who will be watching the new housemate. It may also help to find some obedience classes for you and your dog to take together. You two can have fun together as you learn how to get them to be on their best behaviour! Taking your dog out for a walk isn’t just for toilet breaks: the fresh air also relieves them of stress and anxiety and gets them some regular exercise. If you’re too tired to take them for a walk, however, don’t stress yourself out! Aim to try and get at least 10 minutes a day. A quick walk around the block should do it. If you want the walk to be done as soon as possible, take a few treats with you. Give them to your dog after they’ve gone to the toilet or when you’re finished to encourage a shorter walk. If you’re a busy person who often comes home late after work, get someone in the family to walk your pooch, or hire a local dog walker to do it while you’re away. Once you get home, you can expect your dog to be lying on the floor passed out from their big day. If you’re a busy person, or you’re planning a long holiday, you may be worried your pooch won’t get the care they need. Luckily there are many options for you to consider so your dog will be well looked after while you’re away. Pop online and look up some local dog boarding houses for your pup to stay in. It’ll be like they’re having a holiday too! If boarding isn’t your cup of tea, look up some professional pet sitters who can stay at the house or mind your dog at their place. Or if you want to be sure you can completely trust your carer, get a friend to take care of your fur baby. Make sure you cover everything they need to know, such as vet contacts, food, walking schedules and back up contacts. Nobody likes to visit the vet, especially your pooch. But when they’re sick or injured, you will do anything to make sure your dog is well again. However, there are so many times you can visit the vet until the bills start pilling up. There are many strategies that can help you save money and keep your dog healthy. Taking them for regular check ups will decrease the likeliness of your dog becoming unwell and save loads of money in the long run. Getting pet insurance can help cover costs related to illnesses and injures. Money may still be spent, but it will benefit for emergency situations. It’s also a good idea to keep track of your finances to make sure there’s always some money available for your pup. If you just can’t cover it for whatever reason, ask a friend or relative to help out as a back up. If they love your pet as much as you do, they will have no problem helping out! The precious moments you have with your dog will surely clear up any stress you may have. So don’t worry about a thing. You and your pooch will be alright. What strategies do you have for living a stress-free life with your dog? Comment below and let us know! There are moments in life when all you need is a good cuddle from your cat. Giving your kitty a good scratch behind the ears and receiving a loving purr in return is the best feeling in the world. While all cats like a good pat, there are some breeds that will be more affectionate in return. 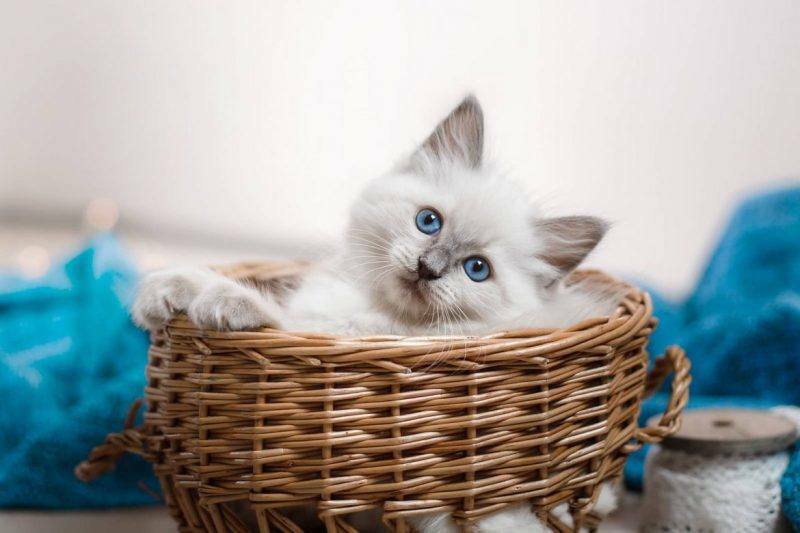 Like their namesake, Ragdolls are relaxed and love to be held in your arms. They are known to be the most calm and laidback of the domestic cat breeds. Ragdolls will easily get along with everyone; adults, kids and even other cats. Their favourite thing to do is to jump on your lap and meow to tell you how much they love you. You’ll need to make sure you have the couch prepped to sit in all day! Sweet and gentle, Scottish Folds are not only incredibly cute, but they’re also very doting on their owners. They want nothing more than your attention, and they’ll make sure that you know it. 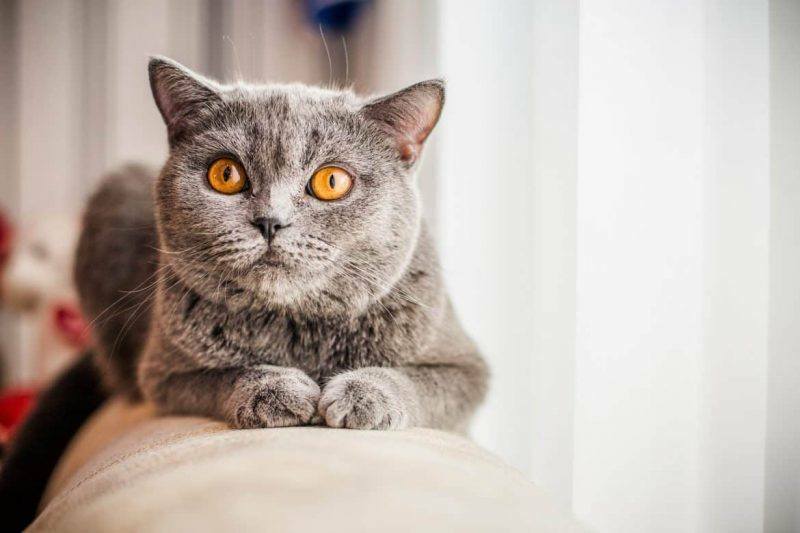 Scottish Folds won’t let you out of their sight, but they won’t pester you either. You’ll never be able to get sick of their adorable, folded ears. Tonkinese cats will very quickly become your new best friend. They are known to be very social, which means that they have a very happy, friendly, generous and outgoing personality. Tonkineses are both active and relaxed, which will suit you for whatever mood you’re in. No matter what, they will always bring a smile to your face. If you thought you loved the spotlight, you haven’t met a Siamese cat! Siamese cats are cute little attention seekers and are not ashamed of it. They are very high maintenance, which is expressed by their loud and outgoing personalities. But it is only because they see you as their family, and nobody loves you more than family! This might seem like an odd choice, but despite their hairless appearance (and because of it), Sphynx cats may be the most loving of them all. They are very warm to touch, and your pats are very well received with a loud and grateful purr. Because of their hairless body, Sphynx cats also require lots of warmth. They will greatly appreciate a good cuddle on your lap or under your blankets! No matter what breed you choose, your kitty is guaranteed to shower you with lots and love and attention. It will be impossible for you to return their affections! Can we have a pet? Can we have a pet? Can we have a pet?” If this sounds familiar to you, then you know how much your kids want a furry little friend in the household. If you haven’t caved in yet, don’t feel guilty. It is completely natural to have concerns about bringing a pet into a home with kids. However, there are many ways your kids can benefit from owning a pet. Every family will be better off with a fur baby in their lives, and we’re here to explain why. This is the most commonly known benefit of having a pet, but we’ll illustrate it for you anyway. Owning a pet is a great way to teach your kids a little bit about responsibility. By having them help out with the feeding, cleaning and general wellbeing of your pet, your kids will learn about some important values that they will need in life. If you encourage them to do some chores, your kids will be more kind, helpful and assertive. They may even offer to help out without even asking! The best thing is that they will most definitely be rewarded for it. Your pet will be well taken care of, which will allow them to live a long and happy life! It is no secret that kids are more likely to be fit if they own a pooch. There are many studies showing that children with pets exercise more than those who don’t. Simply having them play with your dog at your local park will get your kids more excited about getting in some regular exercise. But did you know that owning a pet could also increase your children’s immunity to illnesses? Studies have shown that kids who are exposed to pets in their early years have less ear infections and respiratory illnesses than those who don’t. It’s almost as if your pet is your children’s guardian angel! You know those moments when your kids see an animal on the street and they immediately run up and give them a pat? Well, this can actually prove to be worthwhile! When your child plays with a pet, whether it’s their own or with one they come across, they learn how to approach them without fear and with ease. This can be transferred to developing social skills, which can make it easier for your kids to make new friends! Pets can also help with interacting with friends. 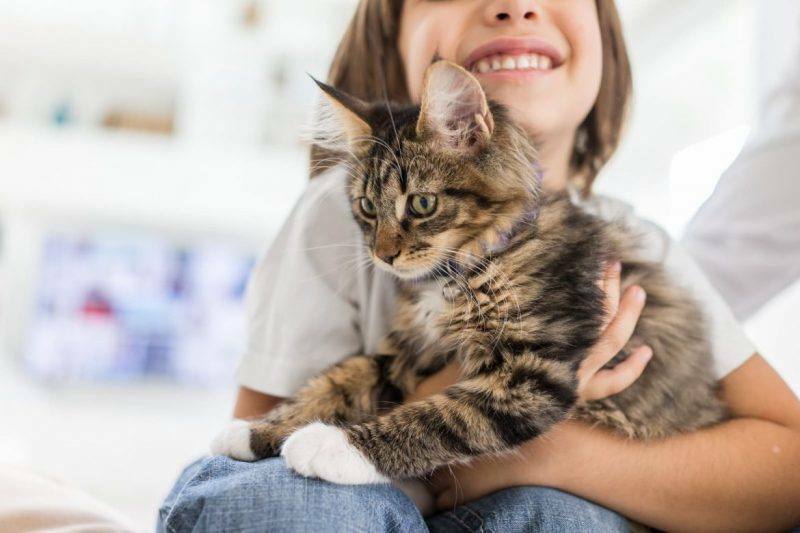 Kids are more likely to be compassionate and nurturing when they have a pet, which can help them with engaging with friends if they’re shy or socially awkward. You know how much your child’s face lights up whenever they see a pet, but the benefits are so much deeper than that. Kids who own a pet have higher self-esteem than those who don’t. Your pet will love your child unconditionally. This will allow your child to be who they are without any judgement, and they can express their true feelings and not bottle them up. This can go a long way, with your kids being more likely to develop academic, physical and social skills without fear of being ridiculed. No matter what, your pet will always be there for your child when they’re feeling blue, or if they just need someone to talk to. A pet is the friend your child will always cherish. You can live your life easily knowing your child is healthier and happier because of their new best friend! I think pets are great for every family as they can help to bring a smile to your face, especially after a hard day. I can always tell when mum or dad have had a bad day however they are able to come home and I am always able to make them smile by giving them lots of hugs and kisses! How has your pet benefited your child? Comment below and let us know! We all love to spoil ourselves with a good old pampering, and whether they like to admit it or not, our pooches are guilty of loving it too! Of course, our fur-babies deserve to look their very best, so they’ll need the very best. Not sure where to go? Residing in Port Melbourne, Murphy’s Paw identifies themselves as “Masters of Styling”. Murphy’s Paw has a large team of passionate dog lovers who are professionally trained to give your pet the best possible service. 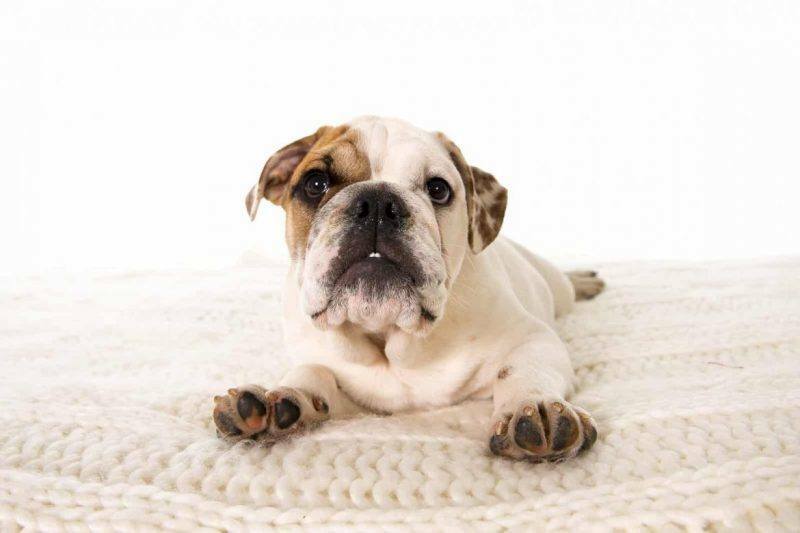 Offering services such as bathing, grooming and personalised styling, Murphy’s Paw is all about pampering your pup to highlight their best features according to their size and breed. They also offer training for puppies new to grooming and for owners who wish to groom their pets themselves. Located in Moonee Ponds, Spa Bark has a personal standard for providing a professional service for your pet. It is no problem because they love dogs, and it is easy to be good at your job when you love it so much! Spa Bark internally mentors and externally trains their staff so they can improve their techniques and be up-to-date with any advances in grooming. They offer personalised grooming packages for different breeds, so it is a guarantee that your pooch will get the service that they need! Not only do Urban Paws offer dog-grooming services, but the Yarraville business is also a doggy day care! Owned by husband and wife animal lovers, Roger and Melinda, Urban Paws is all about providing exceptional care for your pooch as if they were their own. They offer nurturing grooming services for your pooch, and if you’re early for your appointment, they can play in the day centre! Speaking of which, if you are busy all day and your pup hates being left alone, Urban Paws offers a fun and loving day care centre. Your pet can run around and play all day and maybe even make some new friends! If you want your dog’s grooming to have a personal touch, pop down to Superb Grooming in Wheeler’s Hill. With 5 years of experience, Jan provides each pooch with a grooming session with long lasting benefits. She’s all about making sure your dog’s coat and skin is clean and healthy so that they’re able to live their lives happily! You can drop your dog off while Jan takes good care of them, so when you come to pick them up, you’ll be pleasantly surprised! For a grooming that is professional with a modern flair, visit Scratch & Sniff down in Cheltenham! Scratch & Sniff’s principal groomer, Cally, has 17 years’ experience in Veterinary Nursing with a Certificate III in Pet Grooming. She has a certain flair for modern grooming, which includes Asian fusion and show preparation! Services Cally provides include washes, clips and even manicures and pet tattoos! Cally is also one of the small handful of experienced cat groomers in Australia. So if you have a kitty that is meowing for a pampering, bring them down and let them be spoiled! If your pooch wants a grooming that’s a little more international, The Pink Poodle is the place for you! 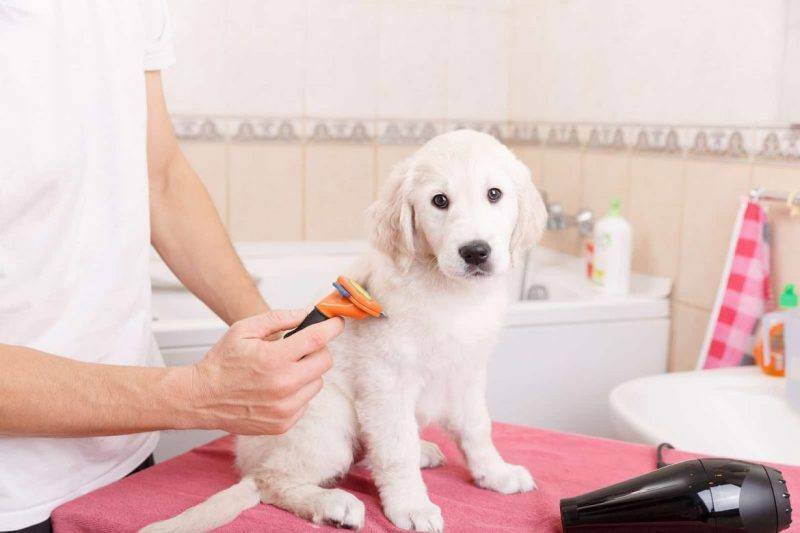 Located in Glen Waverley, the family owned business have over 40 years’ experience in dog grooming. The owner, Tracey, hails from the United Kingdom, and she has been trained in dog grooming from her mother, who has had the pleasure of grooming some celebrity pooches in England! The Pink Poodle specialises in Holistic grooming, offering services such as coat washes, mud wraps and skin treatment using aloe vera. And there’s more! Want to spoil your feline friend? Lulu & Finn love being pampered at Pretty Kitty All Natural Cat Grooming! When it’s time for our Summer haircuts or we need some pampering, the human takes us to Pretty Kitty All Natural Cat Grooming. We come home looking and smelling beautiful, and feeling stress-free. Best of all, they don’t use anaesthesia, so we don’t feel groggy for the rest of the day! Stuck on where to go? No matter where you live in Melbourne, there is a parlour that will make your pooch even more beautiful. Who knows? They may look so good that they’ll bring your hairdresser to shame! Which grooming parlours do you regularly visit? Comment below and let us know! Is your home feeling like it’s missing something? Does your heart have a hole that’s shaped like a cat or a dog? Do you already have a pet and they want a new buddy? Whether you want a new pet or already have one, bringing an animal into your home is not only the best idea ever, but it is also a huge adjustment. Before you even begin to think about bringing a new pet home, you’ll want to make sure you pick the best one for you. As they say, the first step is always the hardest. Deep down inside, you just want to adopt all of the little guys. However, as sad as it may be, it’s not possible. While you may have your eye on the cutest pet or a breed you’ve had your heart set on, there are a few things you should consider. How big is your home? Does it have a backyard? Do you have any kids? Do you have an existing pet? Is your existing pet well socialised? Your new pet needs to be able to meet all of your prerequisites. It’s not just for your happiness, but for them too. If they’re living in an environment that doesn’t suit their needs, then it’ll be hard for them to love their new home. Before you bring your new pet home, you need to make sure your house is ready for their arrival. Make sure that the house is clean and safe so that your new pet won’t get hurt and that they don’t ruin anything. If you’re bringing a new cat home, have a room prepared for them. Cats are likely to be shy around new areas, so temporarily confine them to a room with a litter tray until they’re comfortable. Dogs will need more room to roam around in. They’ll also need to go outside to use the bathroom. Having a large backyard will be an advantage. If you have a back room leading out to the backyard, create a barrier so that they’re confined there while still having access to outside. If you don’t have a backyard, confine them to a room, but make sure you take them out for bathroom breaks. If you already have a pet, keep them separated in a room or space they like. Your home is prepped, the papers are filled out and your arms are wide open. It’s time for your new pet to come home! When you welcome them into their new home, immediately secure them in their designated space. They may be a bit spooked, so be patient. Just give them their space so they can get used to their new environment. Also, be prepared for the fact that they may not warm up to you immediately. The best friendships take time! Sit down on the floor and allow them to come to you. Try shaking a toy or spreading out some food in front of you. Don’t worry; they will love you in time. Once they’re comfortable being around you and their space, gradually allow them to wonder around the house and outside, but make sure you keep an eye on them. If you already have a pet, you may be nervous about introducing them to their new buddy. A trick you can try is rubbing a blanket each on them both and placing it near the opposite pet. That way they can get used to their scent before they meet so they won’t view them as a threat. Once you feel it’s time, place them in a room together, but at bay. If you prefer, you can have your pets on leashes, but be prepared for them to be a little aggressive. If things get out of hand, separate them and try again another time. Your new pet will soon feel right at home in your house and with you. You’re all one big happy family! What tips do you have for bringing a new pet home? Comment below and let us know!